In other news, Christina Cox was named Principal at Grenloch Terrace Early childhood Center. The Open Space Advisory Committee is urging the Washington Township community members to give their input on the Open Space and Recreation update, and the Glassboro Intermediate School field hockey team raised $800 for the Sidney Kimmel Cancer Center. Get caught up on some of the latest stories in our Weekly Roundup. Washington Township’s Open Space Advisory Committee is encouraging community members to voice their input on the Open Space and Recreation Plan update, to eventually be adopted as part of the Master Plan. The OSRP is looking at how it can maintain parks and parklands, as well as improve them for active and passive recreation, according to Open Space committee member and Environmental Commission chair Vicky Binetti. Residents can submit comments to WTEC@twp.washington.nj.us and indicate “OSRP Update” in the subject line, or send them to the Washington Township Open Space Advisory Committee, P.O. Box 1106 in Turnersville. Public comments will be accepted through March 16. The 88-member WTHS contingent poses at the DECA state conference in Atlantic City. Photo: Matt Pesyna, special to The Sun. WTHS’s DECA program is sending 10 students to the organization’s international conference, thanks to their outstanding efforts at the New Jersey DECA State Career and Development Conference held from Feb. 27 through March 1, in Atlantic City. Eighty-eight WTHS students participated in the state conference — they had to place in the top 14 at a regional competition to qualify — with 16 of those reaching finalist level. The elite 10 placed top six at states and will have the opportunity to attend the DECA International Career and Development Conference in Atlanta in April. The Glassboro Intermediate School girls’ field hockey team made an $800, donation to the Sidney Kimmel Cancer Center in Washington Township. The team raised money in honor of Glassboro High School teacher and cancer survivor Michele Keating, who, in 2015, received treatment at the facility — which was then called Kennedy Cancer Center.The money raised will go toward the Cancer Center’s Hope and Healing Patient Assistance Fund, which helps oncology patients struggling to pay bills or in need of transportation during treatment. Superintendent of Schools Joe Bollendorf has announced the creation of a new post — the District Equity Officer — in response to the ongoing recommendation of the Equity Coalition. The equity officer will be responsible for building a network of volunteer equity liaisons in each school to ensure that all students have equal access to programming and services. Michael Schatzman has been the Minutemen head JV coach since 2011, and head freshman coach in 2017. Photo: Jan Giel, special to The Sun. 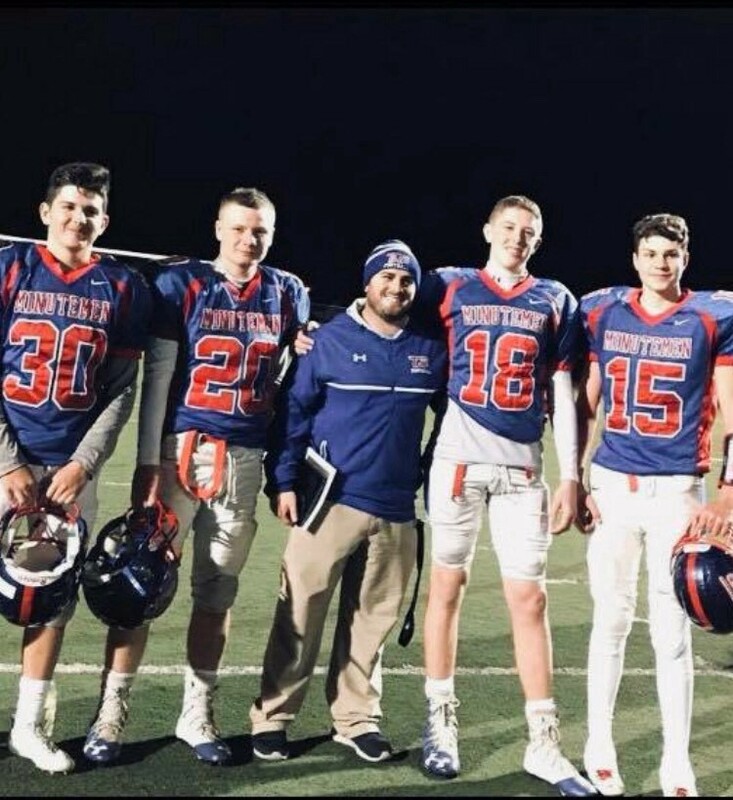 Members of the Washington Township Board of Education unanimously approved the appointment of Michael Schatzman as Washington Township High School head football coach at its Feb. 27 meeting. Schatzman is a 2014 graduate of Rowan University, with a Bachelor of Science degree in health and exercise science — he is also a 2008 graduate of WTHS, where he was a varsity letter winner in both football, as a runningback, and baseball, as a third basemen, as well as team captain in both sports.